Phillipa appears in both public and private children law matters in the Family Court, as well as Family Law Act injunctions (non-molestation orders and occupation orders). Phillipa regularly acts in public law proceedings, representing Local Authorities, parents, children, wider family members and interveners. Whilst seconded to Humberside Police Legal Services in 2016, she often represented the Chief Constable of Humberside Police in the Family Courts on issues of disclosure. Phillipa has also advised Local Authorities in relation to disclosure into the Criminal Courts, including the redaction of social care records and public interest immunity. Phillipa is regularly instructed to represent parents where there are disputes over child arrangements, including residence and contact disputes, applications for prohibited steps orders and specific issue orders. Phillipa also has experience in enforcement proceedings. Phillipa’s approachable and friendly manner ensures she is able to provide clear advice to both solicitors and lay clients. Phillipa is regularly instructed to represent clients who are young, vulnerable, and / or present with learning difficulties. 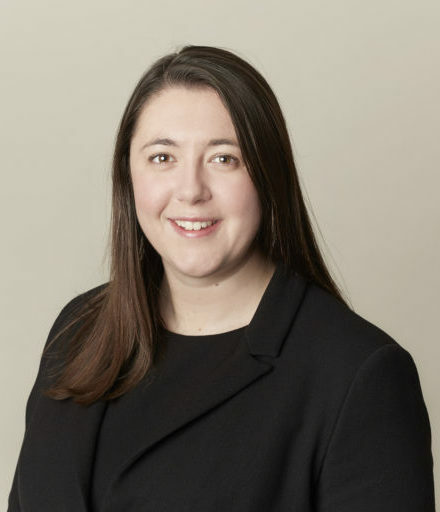 Phillipa currently coordinates the seminars for the Park Square Barristers Family Team and regularly delivers seminars for colleagues and solicitors. She is also able to provide bespoke training in relation to children law matters and court skills. She has previously delivered training for social workers at Wakefield MDC and assisted Leeds Beckett University’s BA and MA social-work students by facilitating a court skills training day. 2018 – Led by Charlotte Worsley in a 4-week Finding of Fact Hearing in the High Court representing the children. There were numerous issues including sexual abuse, young and vulnerable complainants, physical abuse, factitious illness, substance misuse and capacity issues. 2018 – Successfully represented an intervener in a 2-week Final Hearing. The Court found that the intervener had not caused non-accidental injuries to the children as alleged. 2016 – Represented Humberside Police at the case management stage of proceedings in the High Court to disclose information arising out of the police investigation into the death of a child. Phillipa takes instructions in a broad range of regulatory crime cases, including health and safety, environmental, fire safety, environmental health, building control and food standards cases. Applications for orders to protect members of the public, including Sexual Harm Prevention Orders, Sexual Risk Orders, Notification Orders, Violent Offender Orders and Domestic Violence Protection Orders. Disclosure between the police and the Family Court. Defending civil claims against the police. Phillipa is available to provide bespoke training to police forces and regulatory bodies. She has previously provided training to Humberside Police Legal Services, South Yorkshire Legal Services and Cleveland Fire Brigade. Chief Constable of Humberside Police v Benjamin Lumby (2016) –successfully defended the appeal against a Sexual Harm Prevention Order in Hull Crown Court over a 4-day hearing with vulnerable witnesses. The Court varied the SHPO to make it more onerous. It was reported in the national press. Chief Constable of Humberside Police v Glyn Martin (2016) – successful application for a Sexual Harm Prevention Order, including a condition requiring the Respondent to wear by a location-monitoring device at all times. Represented Humberside Police at the case management stage of proceedings in the High Court to disclose information arising out of the police investigation into the death of Poppy Widdison. The case attracted national press. Phillipa frequently appears in the Crown Court, Magistrates Court and Youth Court covering a wide range of offences and hearings for both the prosecution and the defence. Phillipa is regularly instructed to defend in road traffic cases. She has acted on some serious, near-fatal cases in the Crown Court, but she is happy to accept instructions at all levels. She has had recent successes running exceptional hardship arguments as well as a special reasons argument on the basis of a laced drink. Between March and September 2016, Phillipa completed a secondment at Humberside Police Legal Services. She is therefore extremely familiar with the civil orders which arise in the criminal courts, such as Sexual Harm Prevention Orders, Sexual Risk Orders, Notification Orders, Violent Offender Orders, Domestic Violence Protection Orders, and orders regulating dangerous dogs. Phillipa also has experience with Proceeds of Crime matters and has appeared in hearings in relation to detention and forfeiture. Chief Constable of Humberside Police v Benjamin Lumby (2016) – Phillipa successfully defended the appeal against a Sexual Harm Prevention Order in Hull Crown Court over a 4-day hearing with vulnerable witnesses.The Court varied the SHPO to make it more onerous. It was reported in the national press. Phillipa accepts instructions to advise on liability and/or quantum and can turn papers around quickly and efficiently in order to meet tight deadlines. Phillipa accepts instructions to advise and represent clients in relation to all aspects of family finance. She has experience of representing clients at First Hearings, Financial Dispute Resolution Hearings and Final Hearings. Phillipa accepts instructions to advise and represent clients on Court of Protection matters and is eager to build this area of her practise. She is sensitive and has experience of working with vulnerable clients. His Honour Judge Jack and his colleagues rejected Benjamin Lumby’s appeal, finding that he was a “cynical sexual predator” who is “prone to violence”.